From the over-trained and burnt out little kids, to the disillusioned college students thinking they'll go pro, and all the uber-competitive parents and coaches in between, something has gone awry in youth sports these days. College athletes reported specializing in their specific sports before they reached their teen years, and many said they regretted doing so this early. The athletes revealed they thought they played in too many games at too young an age. Approximately half, or more than half, of Division I male athletes in soccer, tennis, hockey, and basketball specialized in that sport by age 12. Similarly, more than half of female Division I athletes polled already specialized in gymnastics, tennis, soccer, basketball, swimming, hockey, and softball at the same age. When kids focus on one single sport too early, they are likely to suffer from overuse injuries, or other injuries such as broken bones, fractures, sprains and strains. Young bodies that are still growing and developing must be given time to adjust to new physical activities and heal properly. Playing a single sport also limits a child's ability to pick up ancillary skills from other sports that may contribute to them being better competitors and more well-rounded athletes. A great deal of pressure put on kids to perform at a high level at a very early age comes from parents. Parents' desires to send their child off to university that excels in a certain sport, and even have college paid for via an athletic scholarship, are enormous. Many students even admitted that their parents had grander expectations of expecting them to eventually go pro. In reality, only a very small percentage of gifted and talented athletes in any sport ever make it to the elite professional level. With Spring Break not too far off, many Central Texans are finalizing their plans for ski trips to places out west or up north. As exhilarating as skiing is swooshing down the mountain with the icy wind at your back, it is also one of the most dangerous winter sports there is. In 2014, the U.S. Consumer Produce Safety Commision reported that nearly 115,000 injuries treated in hospitals, doctor's offices, and emergency rooms were skiing-related. Another 125,000 injuries were attributed to other winter sports such as sledding and ice skating. Always ski with a partner, and inform someone else off the slopes of your whereabouts and expected time of return. Also make sure to have a cell phone with you in the event of an emergency. Check weather conditions frequently, and take warnings seriously with regard to blizzard-like or icy conditions, low visibility, and severely cold temperatures. Dress warmly but comfortably in several layers of light, loos, and water-and wind-resistant clothing. Also ensure that your equipment fits properly and is in good working order...helmets, goggles, boots, and bindings. And don't forget to slather on the sunscreen. Stay hydrated and drink plenty of water while out on the trails. The high altitudes and intense physical exertion can lead to dehydration pretty quickly if you are not careful. Remember to stretch a bit and warm up, just as you would with any other sport, before your first ski run of the day. 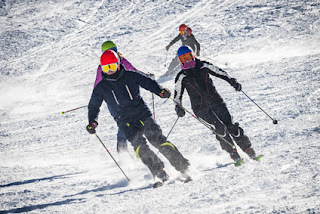 Collisions with fellow skiers are one of the biggest causes of ski injuries, so make sure to watch out for others in your path and be prepared to stop at any time. This holds true for sledding and ice skating as well. A recent study revealed that one in three adolescents experience back pain. That is pretty startling, considering back pain is one of those troublesome ailments thought to exclusively affect middle-aged or seniors. 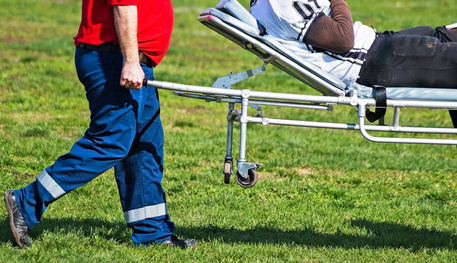 The findings, published in the Journal of American Academy of Orthopaedic Surgeons, suggest that too much training in a single sports, or playing multiple sports in the same season, may be to blame. 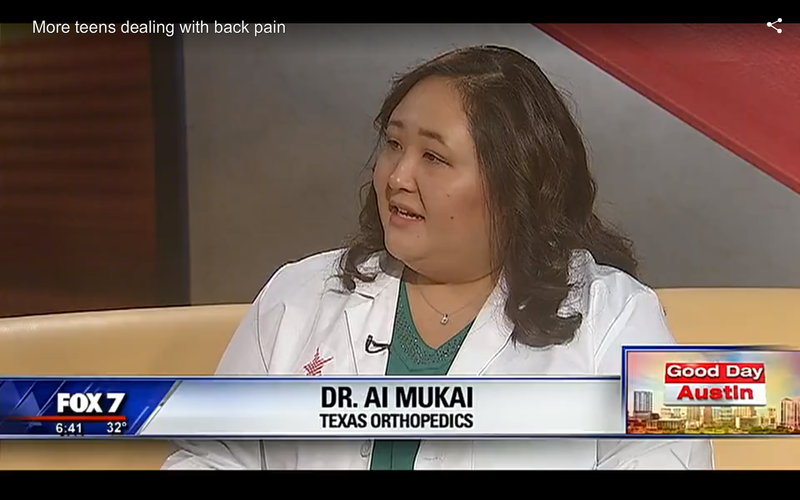 Texas Orthopedics' Dr. Ai Mukai recently discussed this in an interview with FOX-7's Good Day Austin. Many kids focus intensely on one sport at a young age, and that can lead to overuse or overtraining issues, especially as their muscles and bones are still developing. Additionally, kids who jump from one sport to the next, without a break, are also at risk for back pain, and other injuries, as they are not allowing their body sufficient rest and recovery. Additionally, the study also found that adolescents who are not active enough, and perhaps too engaged in screen time, are reporting back pain as well. Poor posture often adopted when hunched over smart phone, tablet, or gaming device is equally damaging to the spine and lower back muscles. If your child's back pain is sever and persistent, sends shooting pains down a leg, or causes any numbness, they should get checked out by a doctor immediately. Your physician or orthopedist may recommend an MRI or X-Ray to pinpoint the source of the pain and help best determine treatment. In honor of today's National Women Physician Day, we'd like to give a big shout out to our co-founder, Dr. Barbara Bergin, and board-certified physiatrist, Dr. Ai Mukai. They are both extraordinary women who have boldly entered, and proven highly successful in, the predominately male practice of orthopedics. Dr. Bergin treats all types of bone and joint conditions. She is board certified with the American Board of Orthopaedic Surgery, and a fellow at the American Academy of Orthopaedic Surgeons. 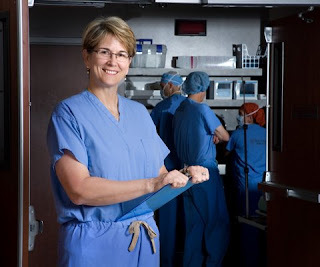 She is passionate about educating her patients every step of the way whether it be for a surgery or rehabilitation program following an orthopedic injury. Dr. Mukai's specialty is the non-surgical evaluation and management of neck and back pain, and pinched nerves. She is board certified with the American Board of Physical Medicine and Rehabilitation, and is a fellow in Pain Medicine, at the University of California Los Angeles. 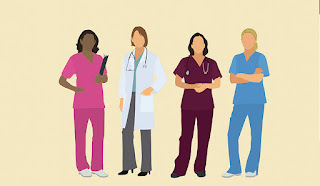 National Women Physician Day is celebrated on February 3 to honor the birthday of Dr. Elizabeth Blackwell, the first female physician in the United States to earn a medical degree (in 1849). 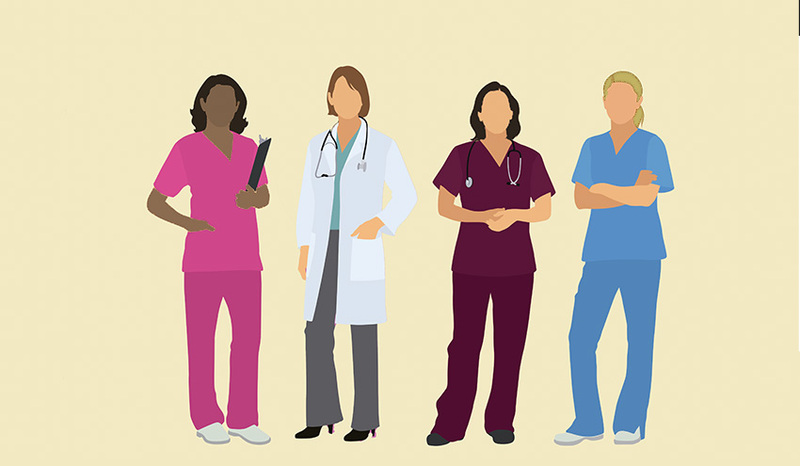 Join us today in saluting all women physicians by using hashtags #NWPD and #IAmBlackwell. Help! 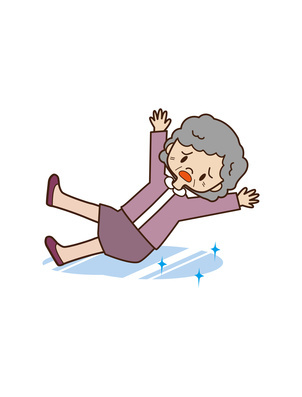 I've fallen, and I can't get up! Those are words you never want to hear from a loved one. Whwile falls can happen to people of all ages, it is especially hard to recover from a fall as you get older. Falls are the leading cause of fatal and nonfatal injuries in adults, ages 65 and older, according to the Centers for Disease Control and Prevention (CDC). Common injuries from falls include head injuries, dislocated shoulders, sprained ankles, and fractures to the arm, spine, pelvis, and hip. Commit to an annual physical and eye exam, and avoid excessive alcohol consumption and smoking. Alcohol abuse and smoking can lead to high blood pressure and heart conditions which may cause bouts of dizziness or fainting. Discuss with your doctor possible side effects of any over-the-counter or prescription medications you take. Make sure to always use caution if something mentions fatigue or dizziness. 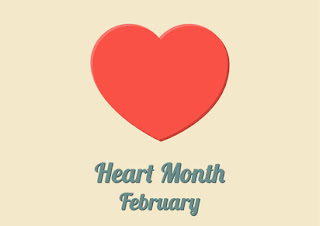 And remember to take medications on schedule and with a full glass of water or food, as directed. 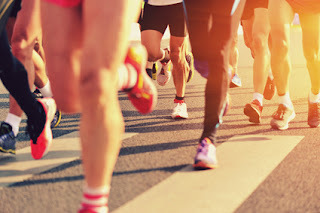 Walking, hiking, bike riding, dancing, weight training, and even yoga, are all great forms of exerciise that build bone strength and stave off osteoporosis - a condition causing bones to weaken and become brittle. Brittle bones are more susceptible to breaks and fractures should you take a tumble. Wearing properly-fitting shoes can go a long way to prevent falls. Have your shoes professionally size/fitted, and make sure you are capable of tying and/or putting them on yourself. Consider Velcro fasteners if that is an easier option, and look for shoes with non-skid soles. 5. Tidy up your house. Keep doorways, hallways, stairs, and routes between bedrooms and bathrooms well-lit and free of clutter. Make sure electrical cords are clear of pathways, and area rugs are secured to the floor with double-sided tape or slip-resistant padding. Also be sure to clean up spills or puddles immediately in the kitchen and bathrooms. Finally, organize commonly used items in lower cabinets/shelves so that they are within easy reach.